Hooded Sportive Cardigan is rated 4.3 out of 5 by 49. 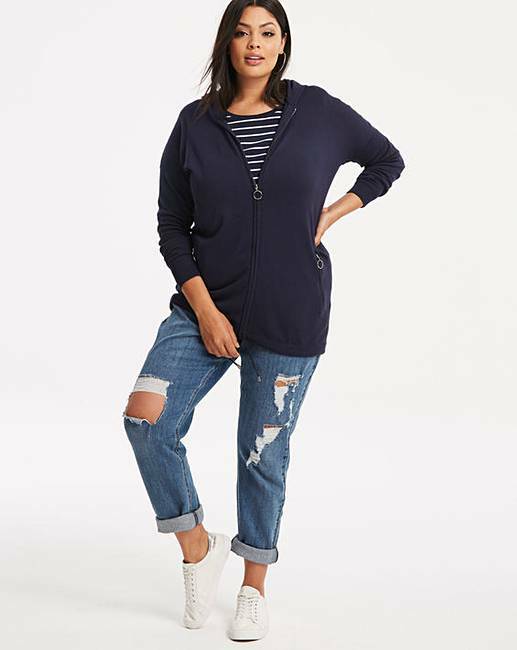 Update your wardrobe this season with this hooded sportive cardigan. 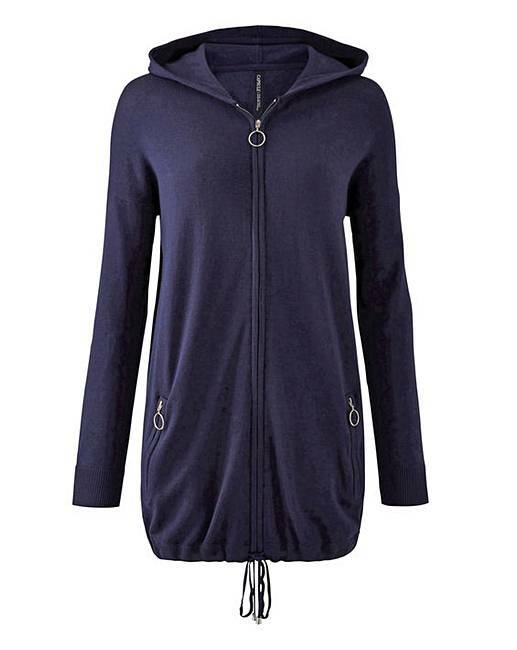 The cardigan feature o-ring zip detailing to the front zip and to the pockets. The cardigan is available in four colourways and features hood detailing. Simply pair with jeans and flats for the perfect daytime look. Rated 5 out of 5 by Nannyaudz from Love it! 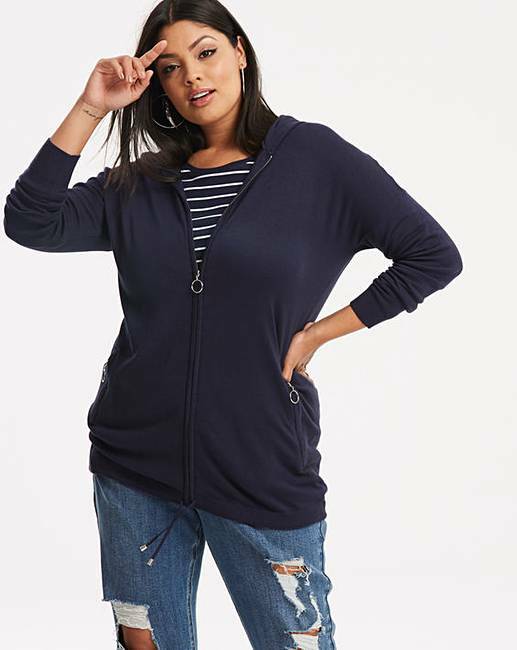 This zip up cardigan is amazing! So easy to wear - love it! 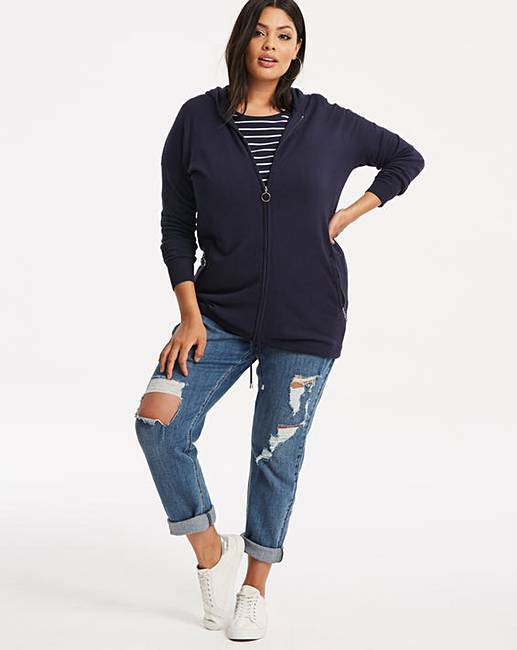 Rated 5 out of 5 by SusieQ from Best buy for 2018 Love this hooded cardigan. Great long length. Material fab. Excellent price. Rated 2 out of 5 by PeggyLucas from Odd proportions I had to return this - the design is odd: dropped shoulders; thin arms; tight across the chest and tummy. Disappointing. Rated 5 out of 5 by Kyla from Smart casual Bought this just before Christmas for going away, I wanted something smart yet casual, this was perfect nice and soft and lovely and comfortable.